In "Pressured Parents-Stressed-Out Kids: Dealing with Competition while Raising a Successful Child," Professor Wendy Grolnick discusses what parental control is and how it may undermine children's inner motivation. She discusses why parents control their children and how how they can support their children's autonomy instead. 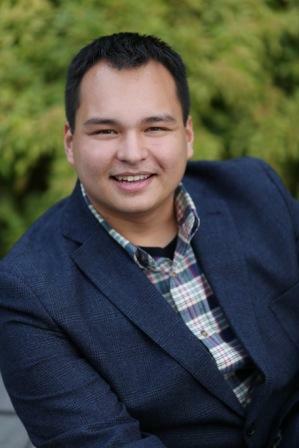 Dr. Addis's research focuses on the role of socio-cultural constructions of masculinity in different men's experience of, expression of, and response to problems in living. His current work focuses on the processes by which men render emotional pain visible or invisible through language and dialogue. Dr. Addis is also involved in collaborative research with students on masculinity and depression, men's self- disclosure, the policing of masculinity in adolescent males, and the help-seeking patterns of returning veterans. In addition to the above work, Dr. Addis has a longstanding interest in the relationships between research and clinical practice, and the dissemination of research-based psychosocial interventions. More about Dr. Addis and his research. Visit Dr. Addis' Men's Well-being Research Group website. Dr. Arnett's main scholarly interests involve "emerging adults" (ages 18-29). 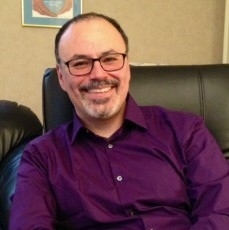 He is the author of numerous articles on emerging adulthood and of the textbook Adolescence and Emerging Adulthood: A Cultural Approach (2007, Prentice Hall). His book Emerging Adulthood: The Winding Road from the Late Teens Through the Twenties, was published in 2004 by Oxford University Press. He has also edited a book on emerging adulthood, Emerging Adults in America: Coming of Age in the 21st Century, published in 2006 by APA Books. Dr. Arnett directs the Clark University Polls of Emerging Adults (www.clarku.edu/clark-poll-emerging-adults). More about Dr. Arnett and his research. Visit Dr. Arnett's professional webpage at www.jeffreyarnett.com. Dr. Bamberg's research is in the area of Discourse and Identity with an emphasis on how Narratives (particularly Small-Stories) are embedded in conversations and employed as general sense-making and identity-building strategies. His current research projects are in the areas of adolescent and gendered identities in 10- to 15-year-old males. Another, closely related issue is the role of emotions, values and morality in how people construct their selfhood and identity. He is the editor of the Journal Narrative Inquiry; his recent book publications: Selves and Identities in Narrative @ Discourse (Benjamins, 2007); Discourse @ Identity (Cambridge UP, 2006); Narrative--State of the Art (Benjamins, 2007) More about Dr. Bamberg and his research. Visit Dr. Bamberg's personal research page. Dr. Budwig's research examines the development of knowledge and practice. Trained in the areas of human development and the learning sciences, she examines issues of the development of knowledge and practice in both formal and informal learning contexts. Dr. Budwig is particularly interested in how participation in communities of practice contributes to the gradual construction of meaning systems. Her research on language development and language socialization examine ways participation in language practices supports the construction of culturally relevant senses of personhood. More recently, she has contributed to the higher education conversation about ways we can better leverage what is known about human learning and development. More about Dr. Budwig and her research. Visit Dr. Budwig's personal research page. Dr. Cardemil's research focuses on the understanding and addressing the mental healthcare disparities in the United States that continue to disproportionately affect individuals from low-income and racial/ethnic minority backgrounds. His research program includes both applied and basic research that lie at the intersection of cognitive-behavioral theories, prevention science, and cultural and contextual approaches. Current research projects take place in the local community. One ongoing research project is an NIMH-funded mixed-methods investigation of a help-seeking for depression among Latino men. Other research projects investigate the effects of culture and gender in a variety of contexts, including middle- and high-school urban children, Latino families, and the therapy process. In addition, Dr. Cardemil has written about the incorporation of considerations of race, ethnicity, and culture into psychotherapy practice and research. More about Dr. Cardemil and his research. Visit Dr. Cardemil's Mental Health, Culture, and Community Research Program website. The goal of Dr. Córdova's research program is to increase our understanding of the processes that affect marital/couple health and deterioration, particularly those processes that promote greater relationship, mental, and physical health. Dr. Córdova's work involves the theoretical delineation of those processes, the demonstration of their proximal role in relationship health, and the construction of empirically testable procedures for their therapeutic use. The principal processes addressed in Dr. Córdova's work include intimacy, acceptance, and motivating the adoption of relationship healthy practices. Dr. Córdova's current projects include (1) the Marriage Checkup, a relationship health checkup designed to help partners maintain healthy relationships for a lifetime, (2) observing the process of intimacy development in couples' interactions, and (3) studying the role of emotional skillfulness in relationship health. More about Dr. Córdova and his research. Visit Dr. Córdova's Center for Couples and Family Research website. Dr. de Rivera is a Research Professor in both the Psychology Department and the International Development and Social Change program. He is interested in the conflict between love and fear and when our feelings and narratives lead us to care for others and act on their behalf or paralyze us or lead us to be destructive. His research has focused on describing the structure and dynamics of emotion in both individuals and collective and the best way to measure emotional climates and cultures of peace. He works on ways to organize the peace movement and directs the Peoples World Peace Movement website (PWPP.org). More about Dr. de Rivera and his research. Dr. Falmagne's interests focus on (i) the manner in which societal discourses of knowledge, social location, discursive construction and personal agency are jointly constitutive of subjectivity and thought through their dialectical interplay; (ii) the gendered foundations of thought, culture, epistemic norms (such as the norm of rationalism developed in Western societies) and development, and (iii) critical epistemological and methodological issues for the social sciences. Her research draws on flexible interview methods, and examines the modes of knowledge and other resources upon which people draw when sorting out contradictory accounts in complex situations, how those resources interplay with one another in the reasoning process, and how people situate themselves in relation to the problem. She focuses on the manner in which people appropriate, resist, modulate or transform various formative cultural discourses of knowledge, and how people's reasoning about everyday situations can be understood in the context of their social location and cultural history, with particular attention to gender, social class, 'race' and ethnicity. More about Dr. Falmagne and her research. Dr. Goldberg is interested in how a variety of contexts (e.g., gender, sexual orientation, social class, work-family variables) shape processes of development and mental health. Her research focuses on exploring parenthood, relationship quality, and well-being in diverse families (e.g., adoptive parent families, lesbian/gay parent families). She is currently conducting a longitudinal study of the transition to adoptive parenthood among a diverse group of couples. She teaches courses on diverse families, gender and families, human sexuality, and ethics in psychology. 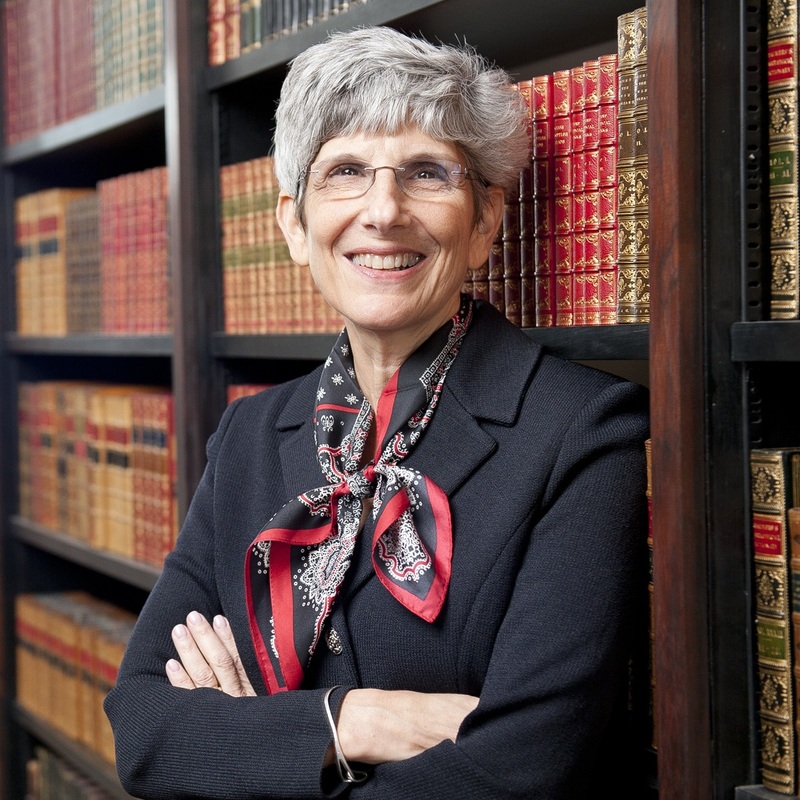 More about Dr. Goldberg and her research. Visit Dr. Goldberg's research page. Dr. Grolnick's research interests are in motivational development and the contexts that facilitate it. Her work has focused on how parent and school contexts facilitate or undermine children's self-regulation and competence across a variety of populations including elementary age children, adolescents, and at-risk youth. 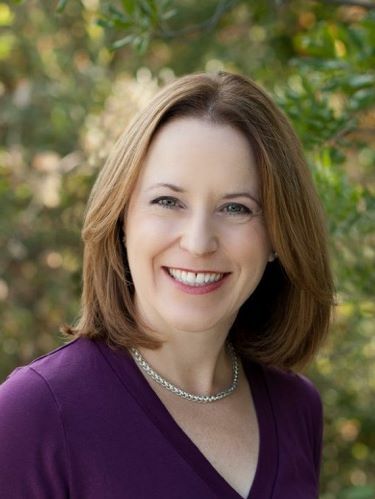 Her recent work also addresses factors in the external environment, such as stress and support, in children, such as temperament, and in parents' psychologies that enable patents to provide motivationally supportive environments for their children. Dr. Grolnick is currently involved in a large-scale study (funded by the William T. Grant Foundation) of how parents structure the environment for children in various cultural groups and how this facilitates children's internalization and adjustment. She is also interested in the development of emotional self-regulation, including its social-contextual, and temperamental determinants. More about Dr. Grolnick and her research. Dr. Hines is a Research Associate Professor in the Psychology Department. Dr. Hines' research centers on issues of family violence. Her current research has three foci. First, she is the Principal Investigator on a series of studies investigating the physical and mental health of men who sustain partner violence from their female partners and seek help. The most recent of these studies also investigates the mental and physical health of child witnesses and is being supported by a grant from the National Institute on Child Health and Human Development. 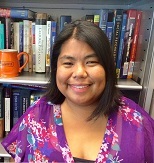 Her second area of research centers on the Clark Anti-Violence Education (CAVE) program, of which she is the co-director. This program offers Clark students free prevention and intervention services for sexual assault, dating violence, and stalking victimization, and Dr. Hines is involved in the evaluation of the effectiveness of the programs. Finally, Dr. Hines is the Director of the Family Impact Seminars, a series of annual seminars that translates social science research to state policymakers on issues related to families, broadly defined. More about Dr. Hines and her research. Visit Dr. Hines' research page. Dr. Jensen aims through her scholarship to change the discipline of psychology toward understanding human development both in terms of what is cultural and what is universal. In her view, there is a need in today’s globally interconnected world for a new philosophy of social science. One-size-fits-all theories are often too broad and too biased to adequately capture the complexities of human selves and relations. The challenge and opportunity is one of bridging universal theories with cultural realities. One line of Dr. Jensen’s research is in the area of moral development, addressing how moral reasoning and behavior are culturally and developmentally situated. A second line of research addresses cultural identity development in the contexts of migration and global change. This work includes a focus on immigrants’ civic engagement. Dr. Jensen and her students have conducted research in different countries, such as Denmark, India, Thailand, and Turkey. Dr. Jensen’s publications include New Horizons in Developmental Theory and Research (2005, with R. W. Larson), Immigrant Civic Engagement: New Translations (2008, with C. A. Flanagan), and Bridging Cultural and Developmental Psychology: New Syntheses for Theory, Research and Policy (2012, Oxford University Press). Currently, she is editing the Handbook of Development and Culture Across the Lifespan (Oxford University Press, forthcoming) and Moral Development in a Global World (Cambridge University Press, forthcoming). More about Dr. Jensen and her research. 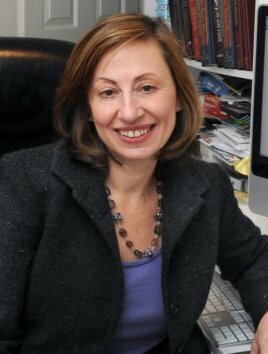 For additional information and publications, please visit Dr. Jensen's professional website at www.lenearnettjensen.com. 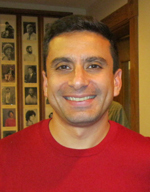 Dr. Marcelo is an Assistant Professor in the Psychology Department. Dr. Marcelo's research examines the influence of risk and protective factors on child development across diverse ecological contexts with particular emphases on culture and adversity. Her first research interest examines children's pretend play, creativity, and emotional expressiveness as related to their socioemotional and academic adjustment in different contexts (e.g., school, peers, home). Her second interest focuses on ethnic-racial identity in early childhood and its influence on children's experiences of their race-ethnicity, particularly in relation to encounters with bias and discrimination. These two complementary lines of research converge in her effort to clarify how developmental processes vary in form and/or meaning as a function of the broader ecological contexts in which they occur. More about Dr. Marcelo and her research. 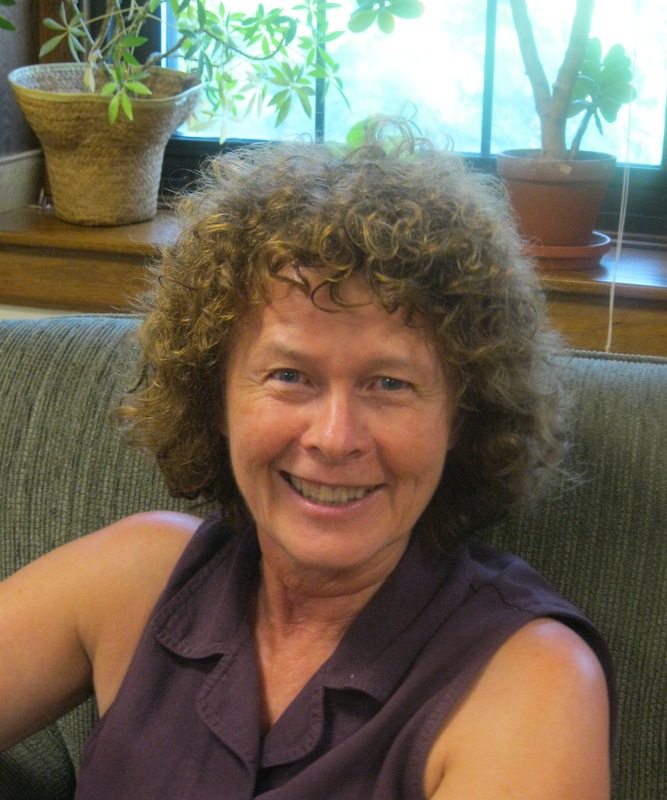 Dr. Moran is a Research Associate Professor in Developmental Psychology. Her research examines how people are proactive meaning-makers and agentic contributors to our shared social, cultural and material worlds: how do individuals harness psychological and environmental resources to contribute to their professions and communities, and how do they come to recognize the impacts their contributions have on other people and on institutions? In particular, Dr. Moran focuses on the dynamic intersections of creativity, morality/ethics, life purpose, wisdom, and collaboration. Her current emphasis is a multinational study of how high-impact service-learning experiences affect college students' sense of momentum in life. She teaches courses engaging students to make a difference and understand the differences they have made: the ethics of collaborative creativity, development of life purpose, and decision-making. More about Dr. Moran and her research. Dr. Overstreet is an Assistant Professor in the Psychology Department. Dr. Overstreet’s program of research examines sociocultural factors that contribute to mental and sexual health disparities among Black women and other marginalized groups. Her primary research examines the consequences of intimate partner violence-related stigma on health outcomes from a multi-level perspective (i.e., personal, interpersonal, structural level). 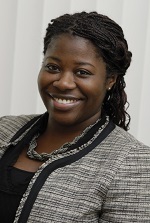 She recently received funding from Fordham University’s HIV and Drug Abuse Prevention Research Ethics Training Institute, sponsored by the National Institute on Drug Abuse, to investigate the role of intersectional stigma in HIV research among HIV-infected African American women. Her second line of work focuses on the influence of societal stereotypes around race and gender on the sexual health and well-being of marginalized groups, with a particular focus on the synergistic relationship between sexual objectification and violence against women. Dr. Overstreet conducts this research using multiple methods including experiments, surveys, and qualitative interviews. More about Dr. Overstreet and her research. Visit Dr. Overstreet's research page. 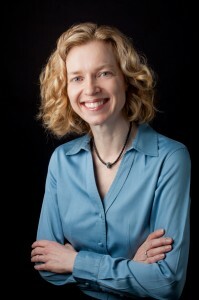 Dr. Palm Reed is an Associate Professor in the Psychology Department. She pursues two related lines of research. The first consists of basic research that uses varied and mixed methodologies, including self-report measures, interviews, and behavioral analogues to understand how individuals’ responses to distress impact their psychological well-being. She is also interested in examining how support networks (e.g., friends and family) can affect distressed individuals. The second line involves developing and evaluating new treatment and prevention programs that target emotion regulation processes. Both research lines have included participants from a variety of populations, including community samples, college students, and inpatient adults. Overall, her work attempts to understand how behavior functions to avoid aversive experiences or approach positive ones. The overall goal of her research is to facilitate a more thorough understanding of psychological well-being, and to translate that knowledge into effective interventions and prevention programs that improve quality of life. More about Dr. Palm Reed and her research. Andrew Stewart is an Assistant Professor in the Psychology Department. His research examines (a) how widespread beliefs about social groups contribute to intergroup violence and discrimination and (b) how to change those beliefs in order to reduce violence and discrimination. For example, Stewart’s research has examined how sexist and hegemonic masculinity norms contribute to violence and discrimination against women in both experimental and archival studies of international data. In addition to understanding how norms relate to intergroup violence and discrimination, he has studied why people engage in collective action and protest in order to reduce violence, discrimination, and inequality. This research has been examined why men and women engage in collective action to reduce gender inequality, and also why international observers protested in support of the Arab uprisings in 2010-2011. Finally, he has administered and evaluated a sexual assault prevention program for college men in order to reduce sexual violence and has consulted with universities and non-profit organizations on men's programming and violence prevention training sessions for practitioners and community members. Professor Stewart also has a strong interest in advanced statistical methods, including multilevel modeling, structural equation modeling, and dyadic and group data analyses. More about Dr. Stewart and his research. Visit Dr. Stewart's professional website. Dr. Valsiner's general interests are in the cultural organization of mental and affective processes in human development across the whole life span. He is also interested in psychology's history as a resource of ideas for contemporary advancement of the discipline, and in theoretical models of human development. 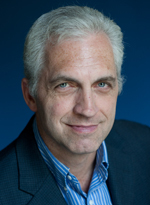 Currently, his specific research directions include the study of young adults' self as an autodialogic process. Retired from Clark, he is the Niels Bohr Professor of Cultural Psychology at Aalborg University, Denmark, where he directs Europe's first Center of Cultural Psychology. More about Dr. Valsiner and his research. Dr. Vollhardt’s research focuses on the different ways in which members of victimized groups make sense of their group’s experiences. She is interested in the underlying social psychological processes and conditions that give rise to constructive, rather than to destructive outcomes of the experience of victimization. She is particularly interested in the consequences for relations between victim groups. Her current research is concerned with the development of measures of victim consciousness, factors that predict exclusive versus inclusive victim consciousness, and ways in which inclusive victim consciousness can be facilitated. 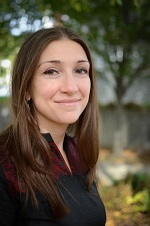 Another area of her research involves questions related to the psychology of genocide, addressing processes among victims, bystanders, and perpetrators. Most of her work has been conducted among members of various ethnic, racial, and religious minority groups in the U.S., but she has also worked with groups in Europe, India, and with the NGO Radio La Benevolencija in Rwanda, Burundi, and the Congo. She uses multiple methods, ranging from semi- structured interviews and content analysis of archival materials to survey research and experiments. More about Dr. Vollhardt and her research. Visit Dr. Vollhardt's professional website. Dr. Wiser is studying conceptual change in children, students and the history of science. Her work in science education focuses on how children's own understanding of the physical world can be transformed into scientific understanding. This involves exploring children's ideas, as well as developing and testing science curricula in the preschool to 8th grade range. Her research in symbolic development includes young children's pre-literacy skills, their use of models and maps, and their understanding of number, counting, and number notations. More about Dr. Wiser and her research.